Pikes suspended in glass cases, an elephant foot doorstop, horned heads on walls, stuffed woodland creatures wearing suits…welcome to the (sometimes) weird and (sometimes) wonderful scientific art of taxidermy. Derived from the Greek words ‘taxis,’ meaning arrangement, and ‘derma’ meaning skin, the early beginnings of preparing, stuffing and mounting animal skins began when hunter-gatherers realized that the skins of animals, killed to eat, could be preserved. Once treated, these hides could be arranged over objects and implemented as part of their hunting rituals. In a vaguely similar vein, the stuffed bodies of crocodiles were suspended, upside down, in the vaults of many churches to drive away demons, ignorance and disease. Is Taxidermy the Same as Mummification? No! 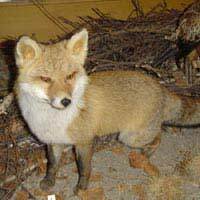 Briefly, the processes involved in taxidermy are not the same as those used in mummification. In very crude terms, taxidermy is based on the skinning and stuffing of a specimen, and mummification on the drying of bodies for preservation, although some methods used by the ancient Egyptians-to prevent decay-were incorporated in early taxidermy. Mans’ scientific exploration of the natural world is inexorably linked to the more advanced sophistications of taxidermy. As eminent naturalists, like Charles Darwin, gained access to previously unexplored lands, more species of animals were discovered and so, the advances in taxidermy treatments progressed in order to preserve these rarities. Apothecaries (pharmacists) were probably the first professional taxidermists. They knew more about herbs, spices and preservatives than most people and were always keen to purchase curious creatures from merchants. During the 17th Century most small towns had a thriving tannery business: this development was due to the huge increase in demand for leather goods. Subsequently, taxidermists’ methods of preserving specimens quickly improved. These early chemists’ had access to alum, arsenic, camphor, salt of tartar and lime and the white soap used as ingredients to make one of the preservatives used in taxidermy during Victorian times. Sir Hans Sloane-his collection of specimens formed the basis of the Natural History collection at the British Museum around 1725. Alfred Russel Wallace-British explorer whose book ‘The Malay Archipelago’ was one of the most influential scientific record of the 19th century. Martha Maxwell (1831-1881) was a vegetarian naturalist whose explorations of Colorado Territory created the foundation of modern taxidermy. She was the first woman to prepare and mount skins of animals. Walter Potter-created anthropomorphic works in which the stuffed, mounted, animals were dressed as humans as they played in cricket and croquet matches, classrooms, tea parties and other extraordinary dioramas. One of the oldest known taxidermy specimens still in existence is that of a crocodile in a Swiss museum. It was prepared in 1623! For centuries, mammals, birds, reptiles and amphibians have been stuffed and mounted by taxidermists. Species of animals are thus preserved for study and zoological reference. One of the first large-scale public displays of taxidermy took place in 1851 at the ‘Great Exhibition of Works and Industry of All Nations,’ where the mounted works of more than 14 taxidermists were exhibited. The huge structure erected for this great event was designed by Joseph Paxton and later became known as the Crystal Palace. During Victorian times big game shooting safaris became popular; especially in East Africa and India. The spoils of these trophy hunters were displayed in many Victorian homes as an array of gruesome-looking heads, pelts, feet and horns. Far from being creators of the macabre, professional taxidermists’ are highly skilled naturalists. Their expert knowledge of anatomy, tanning, sculpting and painting is outstanding and vital in the preparation and mounting of specimens. Taxidermists of today use the bodies of animals that have died of natural causes or road kill. All specimens are tagged, logged and their origins accounted for. Since the introduction of restrictions on the sale and trade of endangered species, it is hoped that this necessary accountability has reduced the illegal handling of such animals. COTES (Control of Trade in Endangered Species) have made it harder for unscrupulous poachers to offload their goods. If you decide to invest in a ‘cabinet of curiosities’ it is advisable to seek the professional advice of a professional taxidermist. That way you know what you’re buying and where it came from. Otherwise, caveat emptor: let the buyer beware.